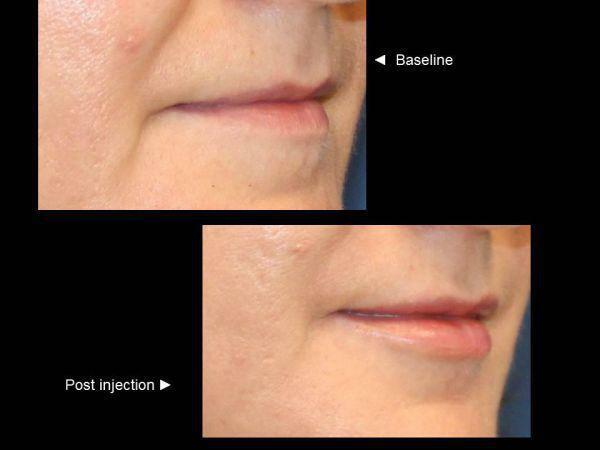 This Huntersville, North Carolina patient had thinner lips and wanted to preserve the anatomical shape of the lips but wanted to explore what an additional amount of filler would do to the deflate appearance of the lips and to smoothen out the wrinkles. 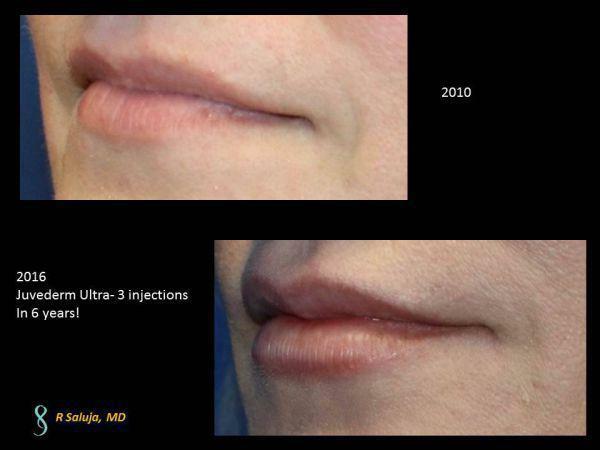 Dr. Saluja chose to inject Juvederm Ultra to the lips to restore her lost volume. 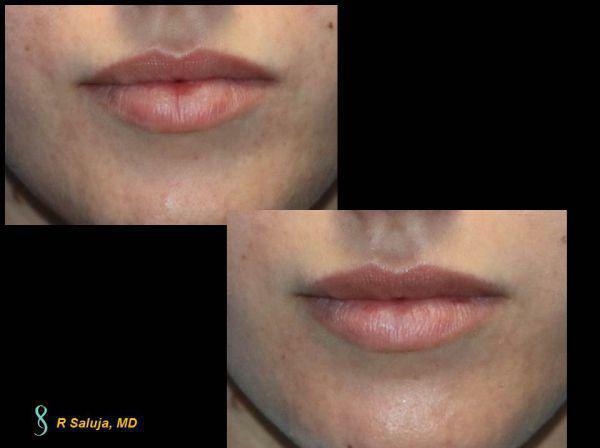 For patients who want the smallest amount of filler added to the lips, Dr. Saluja at Saluja Cosmetic and Laser Center may opt to smoothen the lines of the lips with Juvederm Volbella. 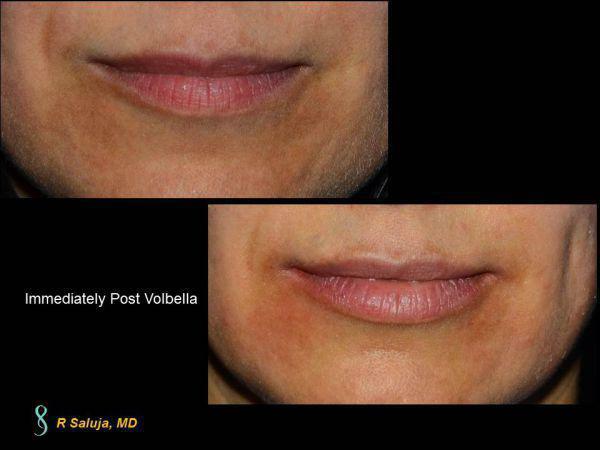 For patients in Charlotte, North Carolina who have full lips but want to minimize the appearance of wrinkles on the lips, Juvederm Volbella is what Dr. Saluja would recommend. This Charlotte patient was blessed with naturally full lips. She felt, however, that her upper lip was beginning to lose volume and wanted a slight bit more fullness of her upper lip to match the lower lip. 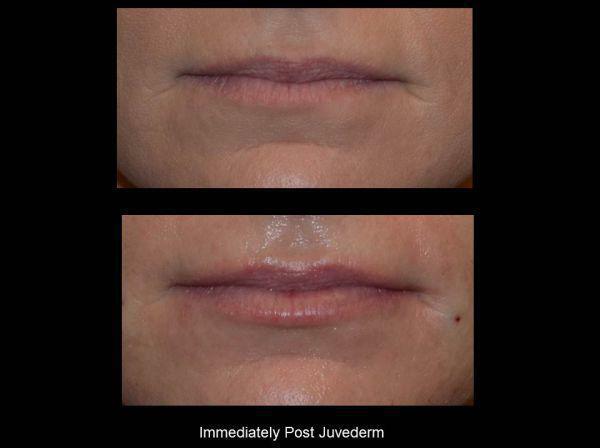 We added a minimal amount of Juvederm Ultra to the upper lip and small amount to the lateral aspect of the lower lip. The remaining half syringe was placed in her nasolabial folds. Many patients notice that they lose lip volume and that it ages the face, but they are too anxious to have lip fillers done as they don't want to look like a pufferfish! Dr. Saluja at Saluja Cosmetic and Laser Center likes to use Juvederm Ultra and even Juvederm Volbella to help restore the lip volume.